Farmers and gardeners have been spraying their crops and flowers for years to protect them from pests. We’re told that it has to be this way. Don’t believe it! These pesticides harm and kill. 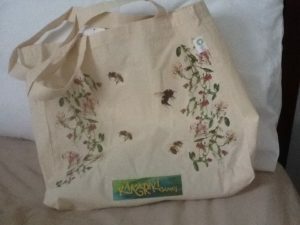 Pollinating insects – gone. 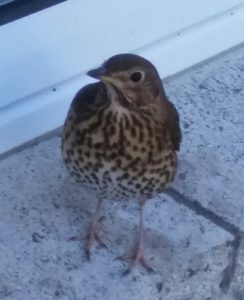 The small birds that feed on these insects – weakened, infertile. The larger birds that hunt the smaller birds (like karearea, our falcon) – birth eggs with shells so brittle, they break. There are other ways to control our garden pests. For instance, Mrs Thrush. She eats slugs and snails. For free! Wending my way up the South Island, & staying in Dunedin, with my friend Gretchen, we drove out to beautiful Waitati. Then on the way home we popped into Orokonui ecosanctuary. Gretchen & her mum had paid for a couple of posts in the predator-proof fence around the 307-hectare native forest. So helping create this mainland island. 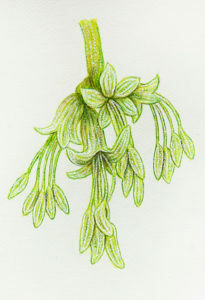 Here is the only Cloud Forest in New Zealand without threat from introduced pests. Being a mainland island presents new difficulties. Tieke, the saddleback, were released there in 2009 and the end of 2012. But a lot of the saddlebacks and their offspring left the sanctuary, leaving only a few behind to breed. ‘We didn’t expect that, as they are not great fliers, but saddlebacks need a large territory and there’s nothing to stop them flying over the fence.’ So Conservation manager Elton Smith said in the Otago Daily Times, 16/1/14. Saddlebacks don’t occur anywhere on the mainland without predator control so the ecosanctuary is the only place to find them, other than offshore islands. In Cloak of Protection tieke, the saddleback, is hunted by kiore, ship rat, cat & stoat. Needs an extremely good fence to keep that lot out!! Where we all come from. At Douglas Park School. 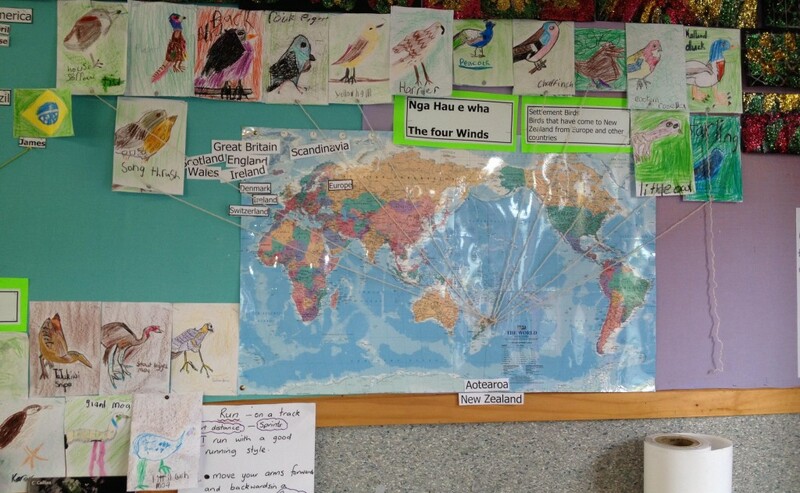 Here are some pics of how students at Douglas Park School, in the Wairarapa, used Cloak of Protection cards to help them look at where they all had come from. birds & humans. where we come from. 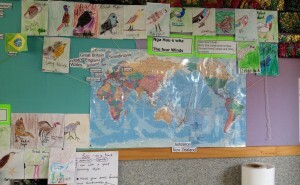 First they focused on the native birds and then on Settlement Birds. This gave them the idea of belonging to NZ but originally coming from somewhere else. As with many of them. 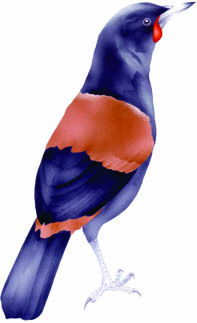 As with many of our birds. A session for people of all ages. 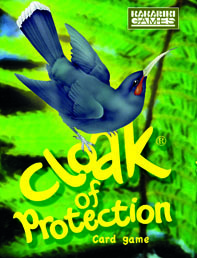 Come play (for a short time or a long time) Cloak of Protection, the NZ birds & predators card game. Plus, be in the draw, to win a game for you or your school. Plse spread the word to your contacts in Taranaki! 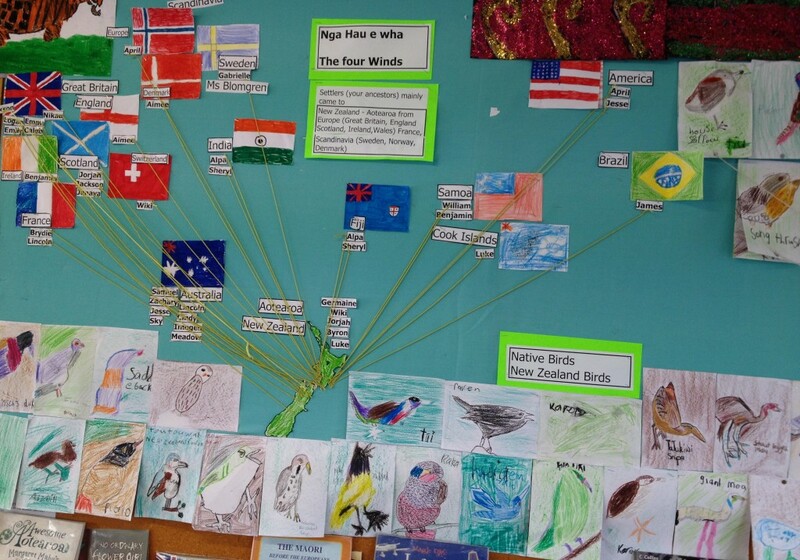 Since the launch of our partnership in Sept 2012, eighteen Wellington Enviroschools have registered on this site. With their help, we now have 90 more games in the community (ie sold)!! This partnership enables students and their families to sell games for points for their school, in a rewards system. Enroll your school in programme: your school receives 1 game. Everytime another 10 games are sold, the enviroschool teacher (or group) gets to choose which reward! This way, more games should get into the classrooms, and schools will be able to start collecting classroom sets. 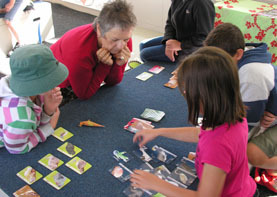 Their students will need to know how to play the game really well, because all participating Wellington schools will be invited to our annual regional ‘Enviroschools + Cloak of Protection’ play-off, starting Sept 2013.